Posted in "Paint protection via clear film - do you need alcohol solution?" 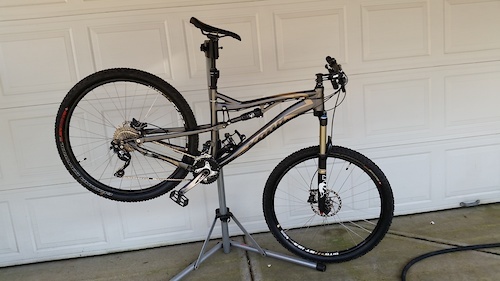 Posted in "Trance 27.5 vs 29er - any back to back test rides?" Womens specific Giant Trance from 2012. Size Small. The geometry of the day makes us categorize it as an XC bike, although it would be mid-travel Trail bike today. Great fit for smaller folks, 5’ to 5’4” ish. Current rider is 5’2” and average proportions, and she finds the fit excellent. Bike is mostly stock and has been well cared for. It has no damage other than cosmetic scratches, mostly from carriers. Reason for replacement - the rider wants a larger wheelset. Note: It is due for its' spring tune-up, was planning to take it in later this week. If you want to do the tune yourself, price would be $900. 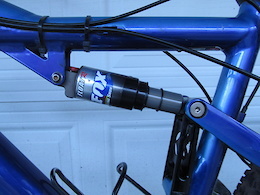 Upgrades: New 100mm dropper post Ergo grips Tubeless conversion Near new Kenda Nevegal 2.35” front and rear https://www.giant-bicycles.com/us/trance-x-1-w-2012 Note the pedals shown are not included. Will throw in a pair of generic flats or a pair of ATAC or SPD clipless if desired. Posted in "Swapping wheel size?"